The National Association of Sporting Goods Wholesalers (NASGW) kicked off 2019 in historic fashion—for the first time since its founding almost 70 years ago, the trade association’s board chair will be a woman. 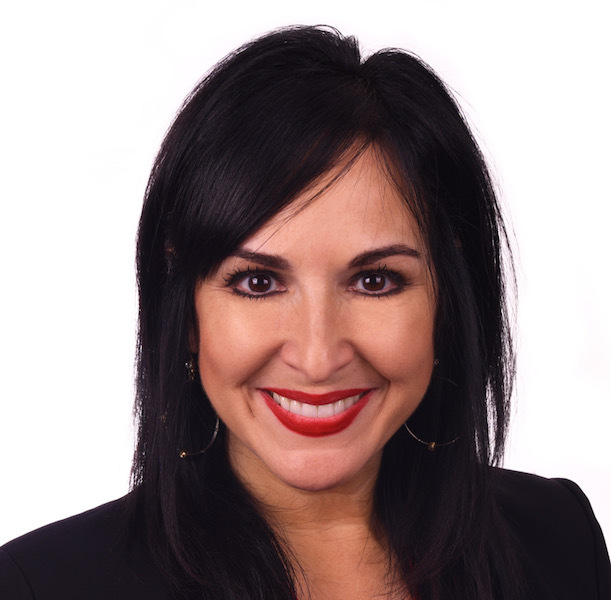 Laurie Aronson, president and CEO of Baton Rouge, LA-based wholesale firearms distributor Lipsey’s LLC, was elected to the position late last year during the annual NASGW Expo in Pittsburgh, PA. She began her two-year term on January 1. Aronson had served on the board of directors for the past six years, rising through the board’s executive positions every two years as treasurer and vice-chair, so this ascension to the top role wasn’t unexpected. But the historic nature of it is notable for an industry where men traditionally have held leadership roles. NASGW is the trade association for wholesalers, manufacturers, independent sales reps, media and service providers focused on shooting sports equipment and accessories. Founded in 1953, the organization can now mark 2019 as an important milestone in its storied history. Soon after the historic announcement was made, Aronson spoke with SGB for a wide-ranging interview about the sporting goods wholesale business and how the path she has forged can bring more women into the industry, specifically to leadership positions. After attending college in Atlanta, Aronson joined her family’s company in 1993, eventually becoming president in 2002. In the past 17 years, she has seen more women become involved in the industry, and she believes this latest development will start a trend. In fact, Stefanie Zanders, vice president and COO, Zanders Sporting Goods, was elected as NASGW vice-chair, meaning she’ll take Aronson’s position as chair in 2021. That will give NASGW four straight years of female leadership. Here is what Aronson shared with SGB about her historic election to NASGW board chair, challenges facing the industry and her goals for the association in the next two years. Do you think your election to NASGW chair signals to other women that there is a leadership path they can follow in this industry? It absolutely does. The vice chair of the organization is also a woman, so I’m just thrilled that we’re going to be back-to-back chairs. I don’t think it was necessarily planned that way, but I’m thrilled. Stefanie is going to be a great chairperson in two years. We work together very, very closely—in fact, the whole board does. It’s a small board and a small organization in terms of number of members, but there are a lot of other women out there at some of the other wholesale distributors. What do you hope to accomplish over the next couple of years as board chair? Almost five years ago, we started talking about a data initiative. Data is king. Having access to data and understanding stats are important to any business, so we started talking about it as a way to provide an added benefit and value that we can bring to both the manufacturing side and the retailer. One of the things that we’re that we’re focusing on for our manufacturer relationships is this data initiative that has literally just launched towards the end of last year. One of my goals is to ensure the execution because we’ve been working on it for such a long time and to make sure that we have buy-in from all our wholesale members as well as our manufacturer members. What are some other goals you have for NASGW? Another one that’s just as big as our data initiative is increasing retailer involvement. We’ve got to do a better job of marketing ourselves. As a trade organization we’re a little bit behind the scenes for consumers, but we’re so tied into our retailer partners. As two-step distributors, we sell to the retail network—at our company, for example, we’ve got thousands of retailers who we sell to. We just need to sell ourselves even more to the retailers so that they will want to buy more from the two-step distributor network rather than wanting to buy direct from the manufacturer. We bring so much to the table in terms of availability and inventory. We invest in that inventory, which can be shipped out at a moment’s notice and which means not having to place big orders once or twice a year. A retailer can pick up the phone and call any one of the distributors daily and place orders. We’re their warehouse. And we’re just trying to make sure that the retailers really understand the two-step distribution value. In the past we’ve been so focused on our manufacturing partners—which is essential because we couldn’t be a distributor unless we have product to distribute—but I think it’s equally important for us to focus on the retailers and remind them of the value that we can bring. What are the benefits for a sporting goods wholesaler to join NASGW in terms of how it can help their business? Over the years, we’ve seen several wholesalers go by the wayside. When I joined our company, there were over 100 distributors, and today there’s only 35. So, we’re about a third of the size and that’s for several different reasons. But the point of the matter is that we’re all stronger together than we are just as individual distributors. And there’s so many benefits that the wholesale members offer to the manufacturers and to the retailer. The wholesale distribution market is essential in our industry, and we need to better represent the two-step distribution—our place in the food chain, if you will. Are you able to take some of the best practices from your business and share them across the association to ensure individual companies and the industry as a whole are growing? We’ve talked about this before: How do you sit down and say, ‘Let’s try to grow the industry’? The only way that our industry will grow is by growing the number of users, getting more people into shooting sports. The more demand that there is in the marketplace for our product, the more organic growth manufacturing will have, and then everything else will fall in line. Our company, in particular, is doing things to try to bring more people into shooting sports and I think we’ve been quite successful. We’ve accomplished a lot these past several years, and I think other companies can do the same just by growing that interest in shooting sports—then, our industry will naturally grow. We’re asking ourselves ‘How do we want to grow the industry?’ But we’re still really trying to figure out the exact answers. Anything else you think is important to this conversation whether it’s about your election to board chairwoman or the industry as a whole? I feel like I can learn from so many other people in our business, just as I have since I became president of Lipsey’s. This is the time to understand what other people’s challenges are so that we as a wholesale distribution network can secure our place in the industry. We play such a vital role and now we just have to use the right means to make sure that all of our channel partners—manufacturers and retailers—really understand the benefits that we bring to them.